Every year, more than 1000 seniors die in fires started at home, while 2000 are injured. According to usfa.fema.gov.com, in 2015, incidents with seniors involved in fires were almost 3 times as likely to end in fatality than any other age group in the U.S.
And with more older loved ones opting to age-in-place, it’s likely that the number of of fire-related injuries will continue to increase as well. If you have a senior who lives alone or is considering living alone, it’s important that both you and your loved one are familiar with fire safety and are able to put a feasible plan in place in case of an emergency. Part of fire safety awareness includes being able to identify the things in the home that create a potential hazard for your loved one. If your senior suffers from physical or mental limitations, it’s possible their condition could impede the ability to act quickly in the event of a fire. Medications that your loved one takes regularly could also make it less likely for them to react in time. Many times the improper use of stoves, candles or fire to create heat or light can also have dangerous consequences for senior loved ones. The best way to avoid an accident is prevention. Below, we included some ways you can activelty keep your loved one safe from fires. Organizations like The Office of Public Safety and The Electrical Safety Foundation International offers educational resources for seniors about the importance of fire safety and ways to help lower the incidence of injury and death due to fire. Experts suggest testing smoke alarms in the home at least once a month to make sure their working properly. An alarm is often the first line of defense when a fire occurs. Aside from offering personalized elder care, a reputable home health agency can also assess your loved one’s home for the function and availability of your smoke alarms, the condition of furniture and appliances and any other potential hazards. A professional home health facility will evaluate your senior’s physical and cognitive well-being to determine if their level of problem solving, balance and coordination and self care and homemaking is sufficient enough to stay home safely. 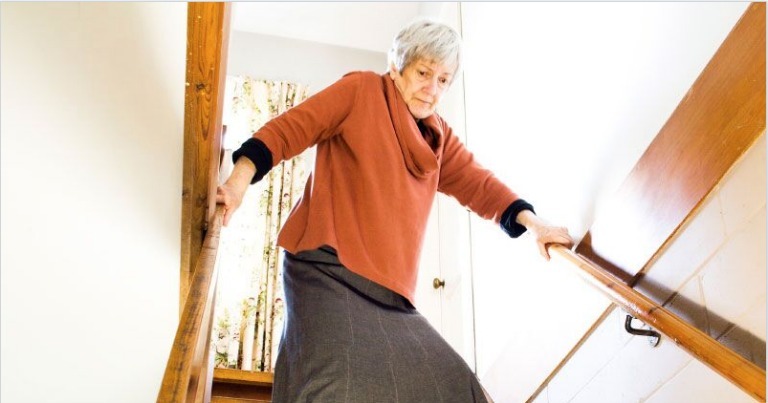 They can also provide recommendations on whether your loved one’s needs require certain home modifications including the installation of grab bars, stair lifts or ramps for accessibility.